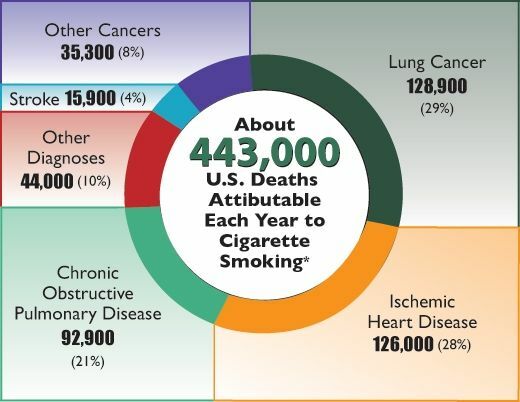 Did you know that a startling 45 million Americans still smoke cigarettes? It’s true. Despite the common knowledge of the devastating health effects and ordinances making it all but impossible to smoke when you’re out and about, these millions of Americans continue to puff. If you or someone you love smokes you may want to check out this new book just released titled: Quit Smoking Today Without Gaining Weight (Sterling). It is written by Paul McKenna who is well known for helping his clients with other health related issues. Quit Smoking Today may just provide you with the right direction to help you successfully quit smoking . . . today! Quit Smoking Today utilizes the mind’s centers where addiction holds on tight to stop cigarette smokers from craving ‘just one more’ cigarette. McKenna, a world renowned self-help author, promises that most people who follow his method presented in Quit Smoking Today will quit without gaining weight, an sde effect common with smoking cessation. One of the biggest reasons people continue to smoke is their fear of gaining weight. An independent researcher has found that 97% of people who quit using my system do not gain significant weight, which cannot be said for other methods. This is groundbreaking. People can now put aside their fears of weight gain and get serious about their health and life! In this seven chapter—or as it’s called in Quit Smoking Today, ‘seven session’—135 page book McKenna teaches the reader to use hypnosis as a tool to quit smoking. Each session of Quit Smoking Today is presented in a straightforward, easy-to-read, and matter-of-fact manner. There are no pretenses, no judgments, no harsh words for the smoker battling to quit. There are only answers, tools, and hope. McKenna explains to readers that their minds are like computers. If you have the mind of a smoker you are programmed in certain ways to keep smoking, to resist quitting, and to continue the cycle of wanting to quit but not knowing how. You may even have already quit only to begin again. In Quit Smoking Today, McKenna promises that you’ll end this cycle of craving, satiating, craving that corresponds with your now habitual way of coping with perceived stressors in life. By the time you finish this book and listen to the CD every day for at least two weeks, a cigarette will never seem the same to you again. The various exercise and imagination techniques in the pages of Quit Smoking Today and the accompanying CD solidify a new way of looking at and handling stress that become a normal response every time the reader is faced with stress. These times of stress are the former times a smoker would reach for a puff. After reading Quit Smoking Today, listening attentively and regularly to the CD, and putting into practice what you’ve learned, smokers will no longer reach for cigarettes to aid with stress. Is Quit Smoking Today Your Answer? If you or someone you love smokes and wants to quit, McKenna’s Quit Smoking Today may be your answer. Paul McKenna’s books to date have sold well over five million copies in just five years, in thirty-two languages. His books help people to quit smoking, lose weight, eliminate stress, increase self-confidence, and overcome insomnia. He’s appeared on many television shows such as Good Morning America, The Early Show, The Ellen DeGeneres Show, Rachel Ray, and The Dr. Oz Show. He’s worked successfully with Hollywood movie stars, Olympic gold medalists, rock stars, overachievers, and even royalty to overcome problems and improve their lives. He builds his success on the premise that a small change can produce huge results. When you read Quit Smoking Today and listen to the accompanying CD, you’ll join the millions of McKenna readers and quit smoking without gaining weight.